Enter the special Renewal Price that you want to set for the product. 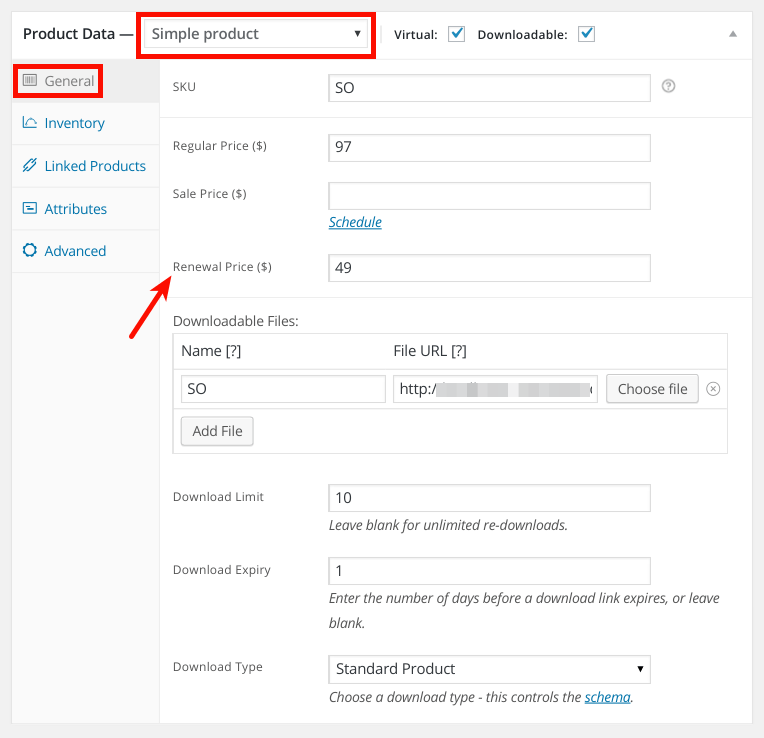 Additionally, for digital/downloadable products you can set the Download Limit & Download Expiry for the product (as that will decide when Renew button will appear). Save the changes. That’s it! 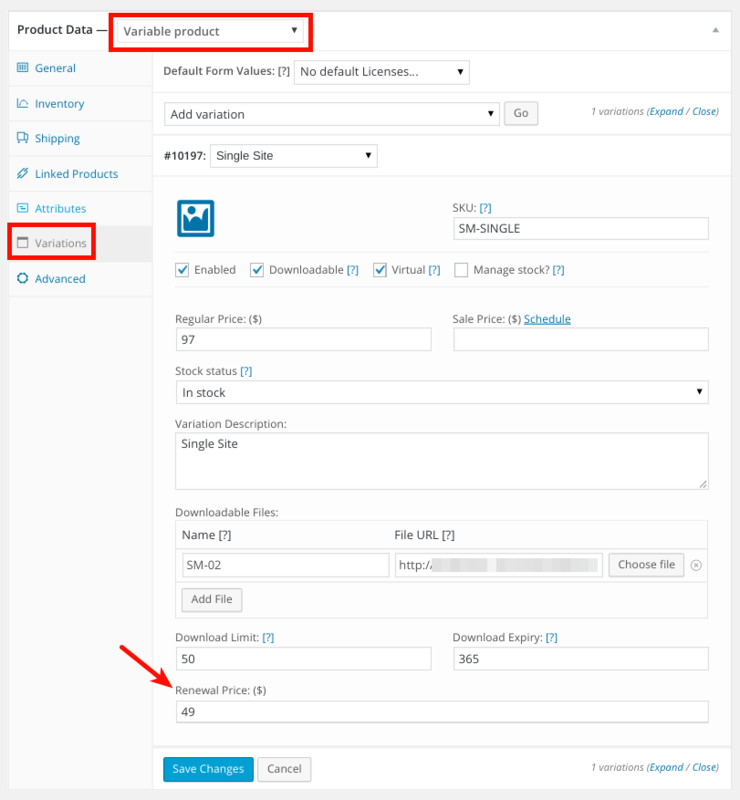 Further process will automatically be handled by WooCommerce Renewals plugin.